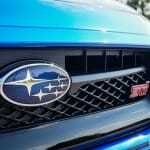 With a storied rally racing history, Subaru definitely knows a thing or two about turbocharged, all-wheel drive fire breathers. 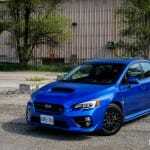 In the 1990s and 2000s, their rally expertise was demonstrated with fabulous renditions of the WRX and WRX STI, which were built off the compact Impreza sedan, coupe, and hatchback. Even to this day, the WRX and STI have been able to maintain themselves as formidable performance staples amongst the entire automotive enthusiast world. 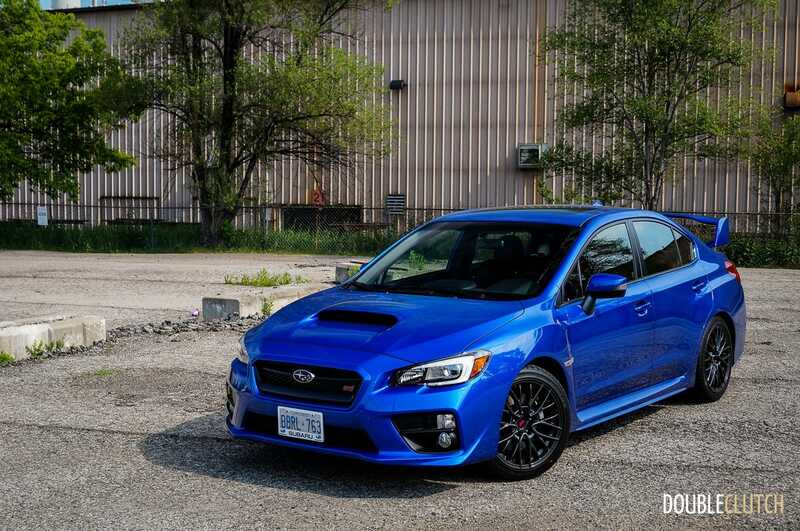 When Subaru Canada offered up an opportunity for a week’s worth of testing with a World Rally Blue Pearl 2017 Subaru WRX STI Sport, the DoubleClutch.ca team couldn’t pass up the opportunity. 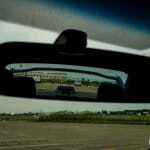 Will competitors such as the Volkswagen Golf R be able to dethrone the perennial champion? 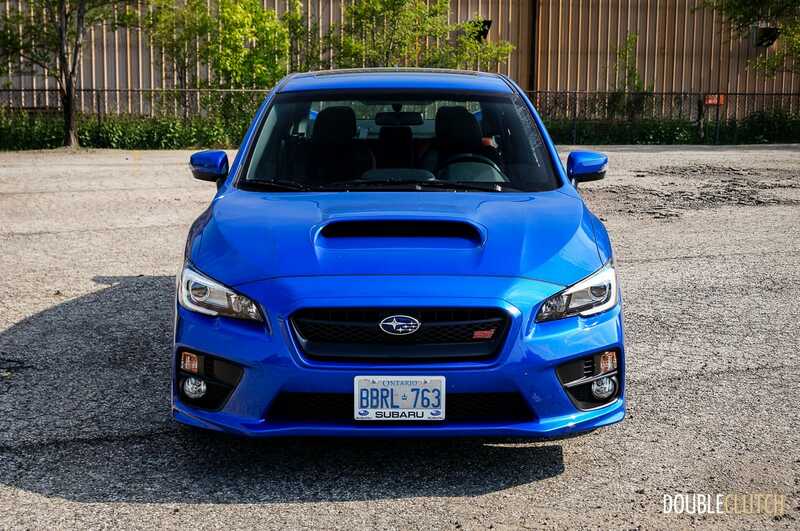 Introduced in 2014 for the 2015 model year, the WRX STI (reviewed here) brought in edgier and more aggressive styling than its predecessor, but also had one important exclusion – a hatchback was no longer available. 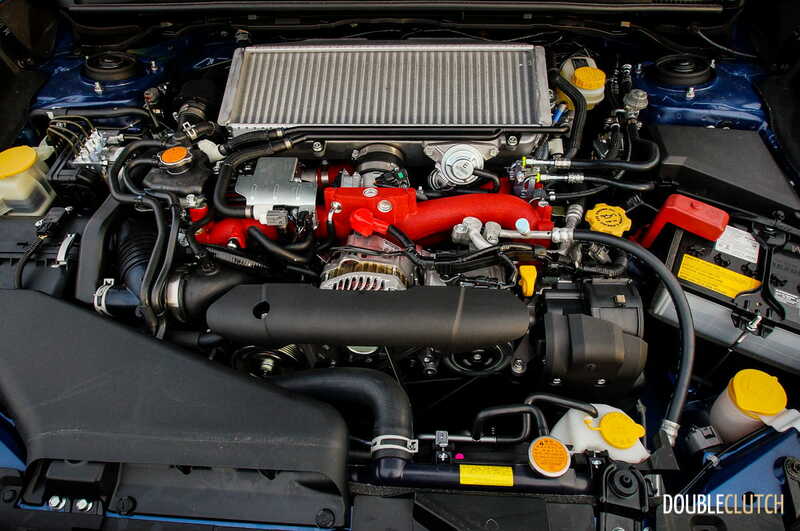 Carried over is the 2.5-litre, turbocharged flat (“boxer”) four cylinder engine better known in Subaru circles as the EJ257. Making 305 horsepower at 6,000 rpm and 290 lb-ft of torque at 4,000 rpm, peak power output is still nothing to scoff at, and the STI is able to rocket its way to breakneck speeds in short order. 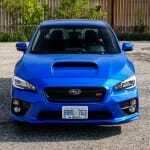 Unfortunately, turbo lag is fairly significant and drivers will have to wait a bit (or downshift) when asking the Subaru to go fast. 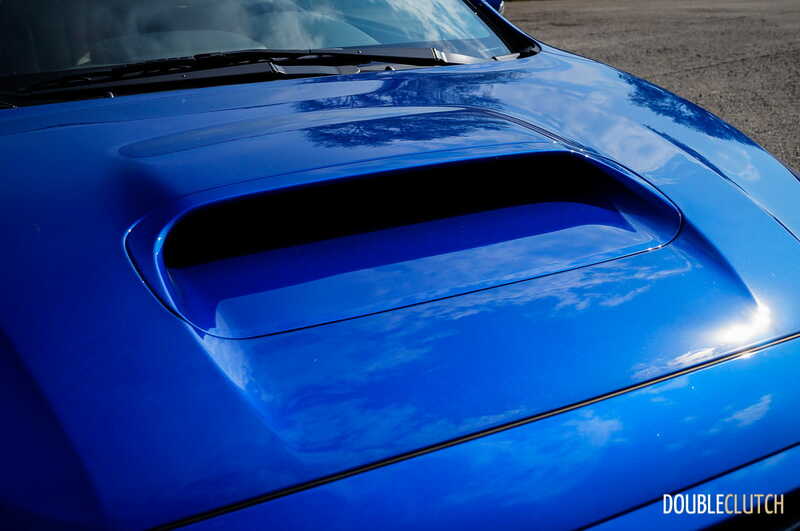 The car doesn’t really gain steam until almost 4,000. 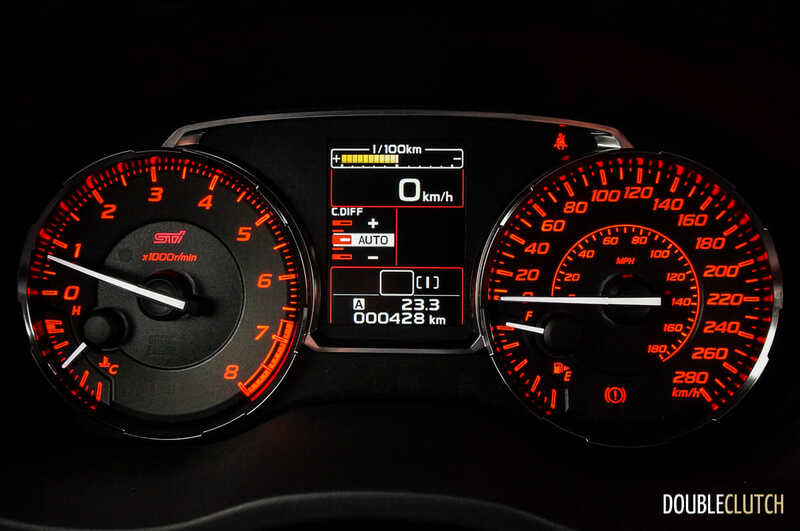 Once full boost is built up, the run to the 6,700 rpm redline happens very quickly. 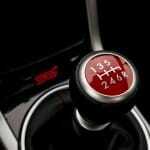 Surprisingly, the short gearing is of little help in this regard, and results mostly in very high rpms during highway driving. 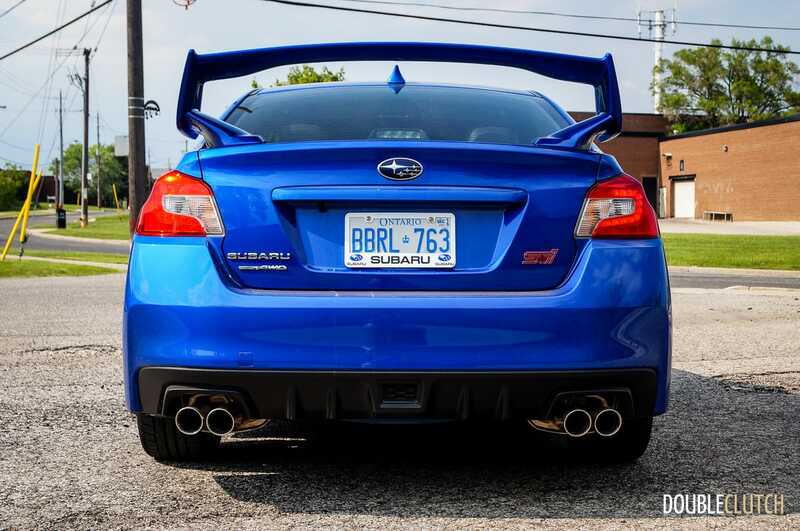 While these characteristics make for a street driving experience that leaves something to be desired, performance and track driving will have the flat four feeling right at home, with the unequal length exhaust headers providing the signature Subaru soundtrack. The lower-level WRX (reviewed here), with a newer design engine, ditches the STI-style headers, adds a twin-scroll turbocharger, and direct fuel injection, which greatly improves the drivability, reducing turbo lag and beefing up the torque curve. 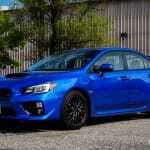 Bottom line – a higher output version of the newer WRX mill would take the STI from good to great under all conditions. 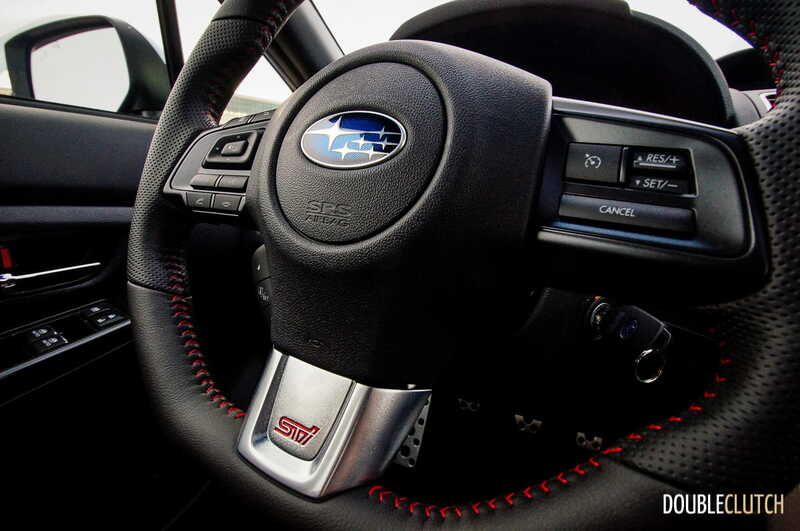 The STI also includes Subaru Intelligent Drive (SI-DRIVE), which reconfigures the throttle response mapping between normal (“Intelligent”) and Sport/Sport# (Sport Sharp, not Sport-hashtag!) modes. 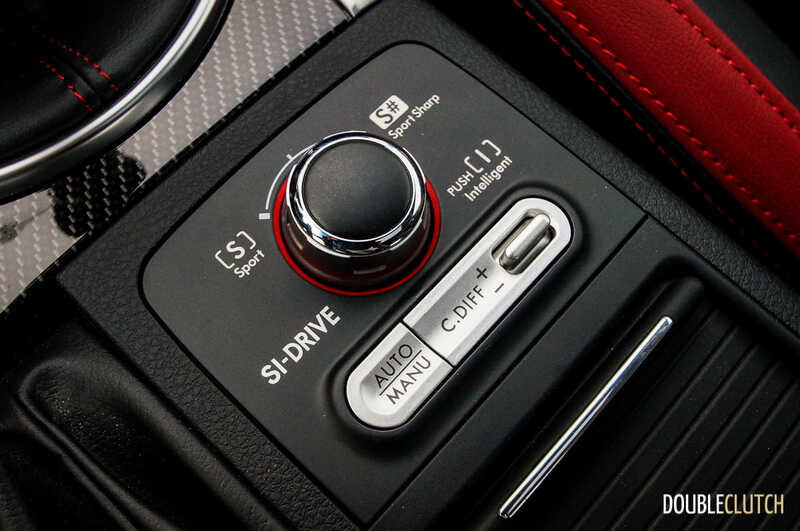 The more aggressive modes made throttle tip-in quite aggressive and difficult to manage at low speeds – the STI was left in the more linear Intelligent mode for most of the week on test. 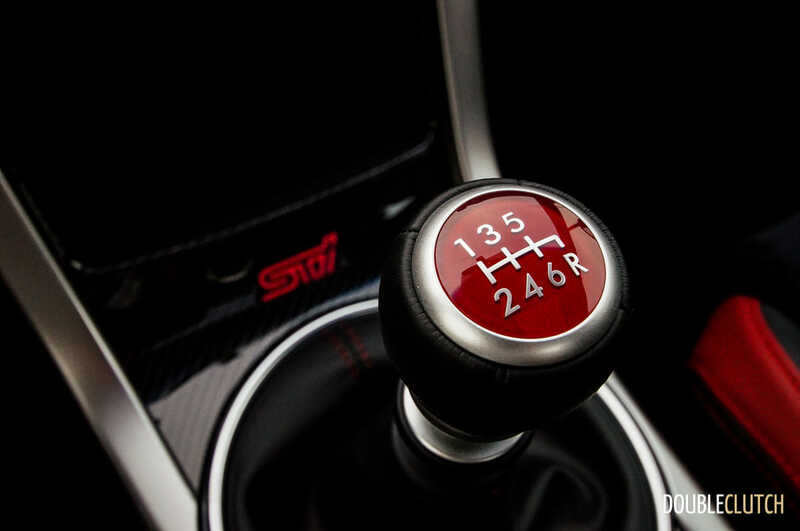 Backing the 306 horsepower of the STI is a wonderful six-speed manual transmission that’s coupled to Subaru’s symmetrical full time all-wheel drive system. 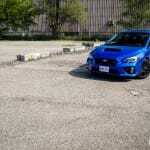 Close ratios help to keep the engine in its narrow powerband, and shifter feel is positive and confidence inspiring. 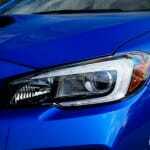 The clutch is also relatively easy to modulate, considering the performance levels of the rally-inspired Subaru. Of note is the Driver Controlled Centre Differential (DCCD) function, which when left out of automatic mode, allows drivers to manually control the bias for power delivery between the front or the rear wheels. 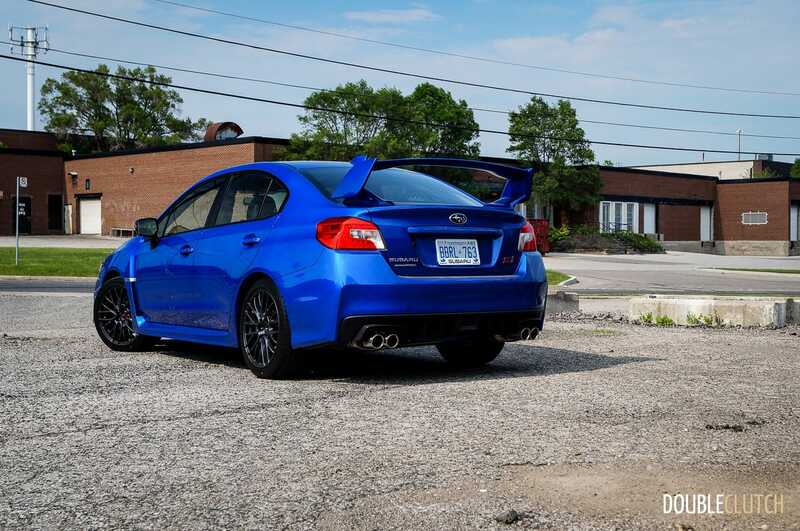 Throwing the power up front improves straight-line traction in inclement weather or harsher terrain, and a rearward power bias improves cornering by allowing the STI to rotate in a turn with added throttle application. 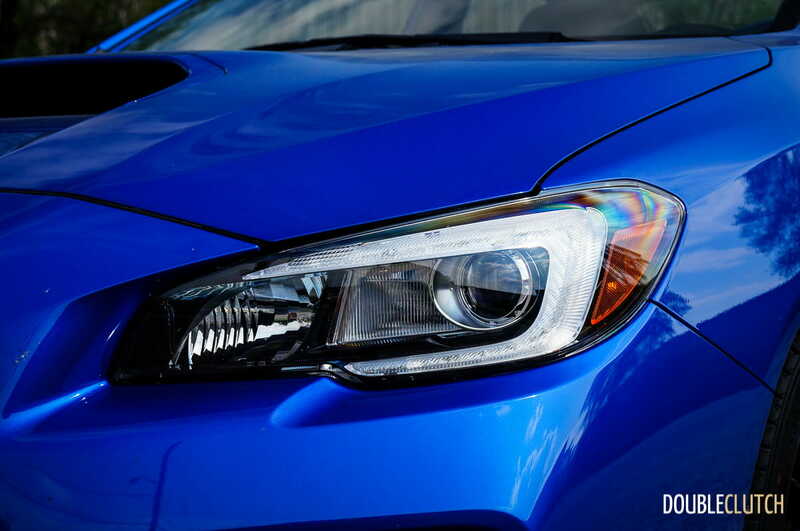 Both front and rear differentials are of the limited slip type, which is not something buyers get when going with the lower level WRX. 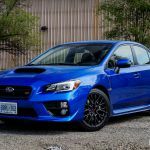 Having the DCCD and limited slip differentials is indispensable for performance driving, and could easily be considered the two most important features separating the WRX and WRX STI. 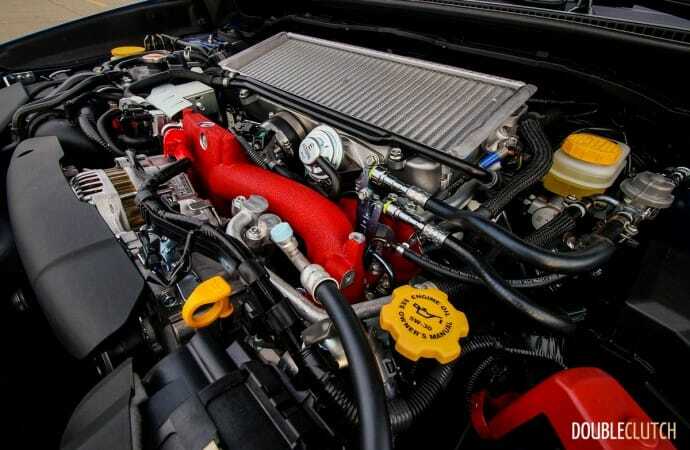 With the older port-injected EJ257, close ratio transmission, and copious amounts of boost, the STI can’t exactly be expected to return good fuel economy. 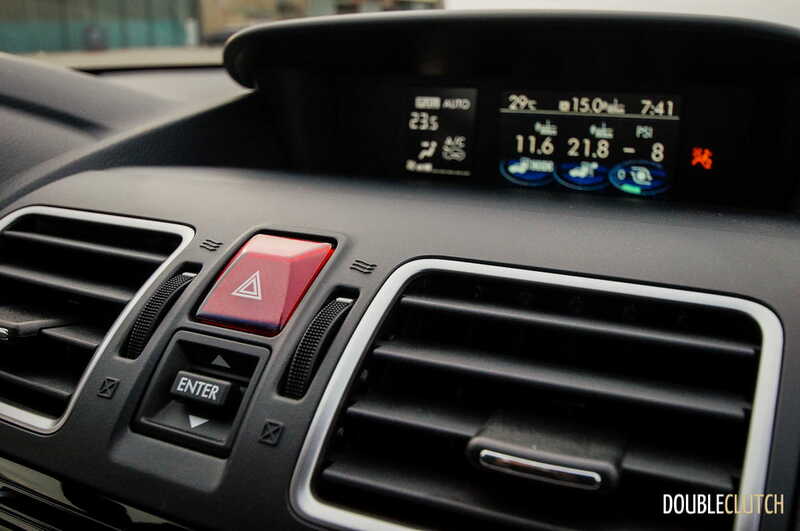 Rated at 13.8 L/100km in the city, and 10.2 L/100km on the highway, observed fuel economy was 11.4 L/100km with quite a bit of highway driving in the mix. 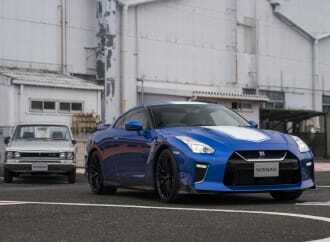 A heavy right foot will see gobs of fuel consumption, but that’s a small price to pay relative to the fun that can be had. 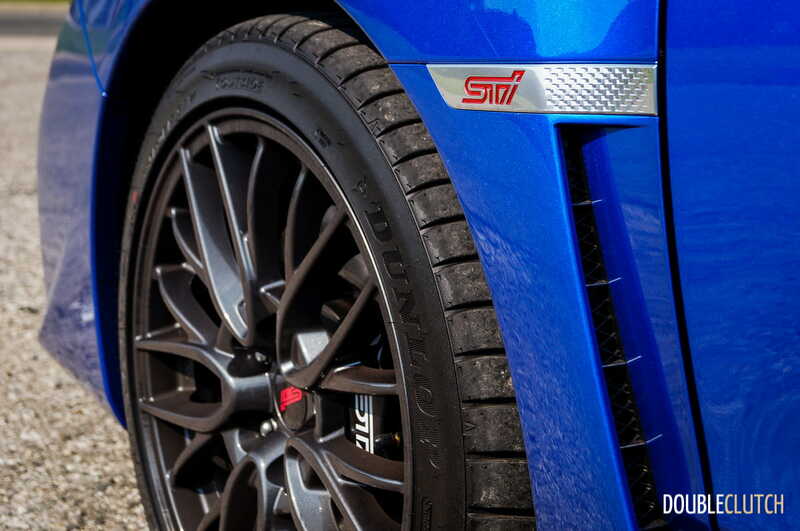 As expected for a high output turbocharged powertrain, the STI requires premium fuel. 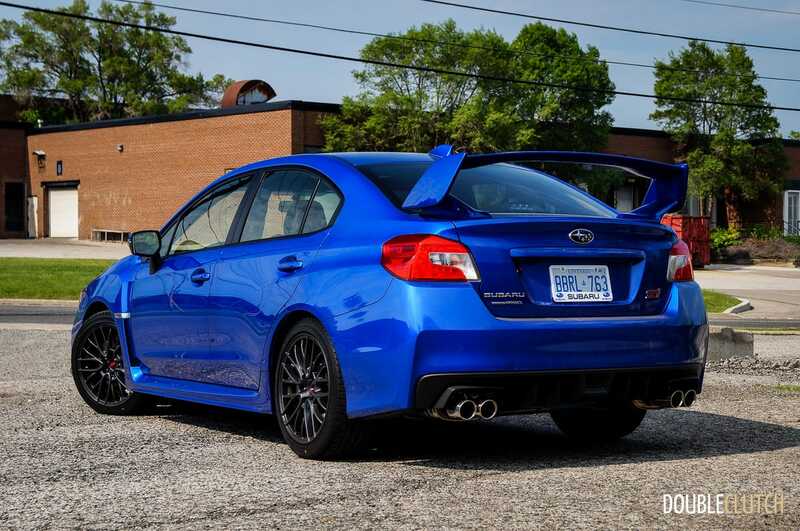 On the road, the handling and driving dynamics of the STI are among the best in the business, especially in its price range. 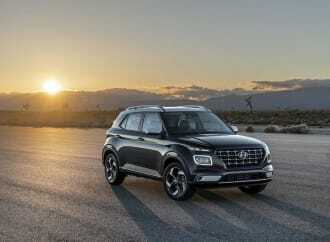 The power steering system is still of the older hydraulic assist type, and traditionally, this means better steering feel. 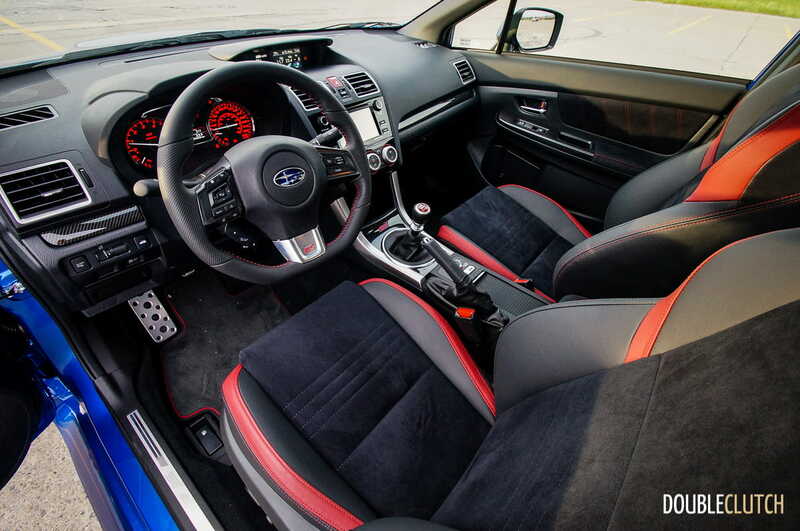 The STI is no exception, with communicative steering and quick turn-in that responds immediately to driver input. 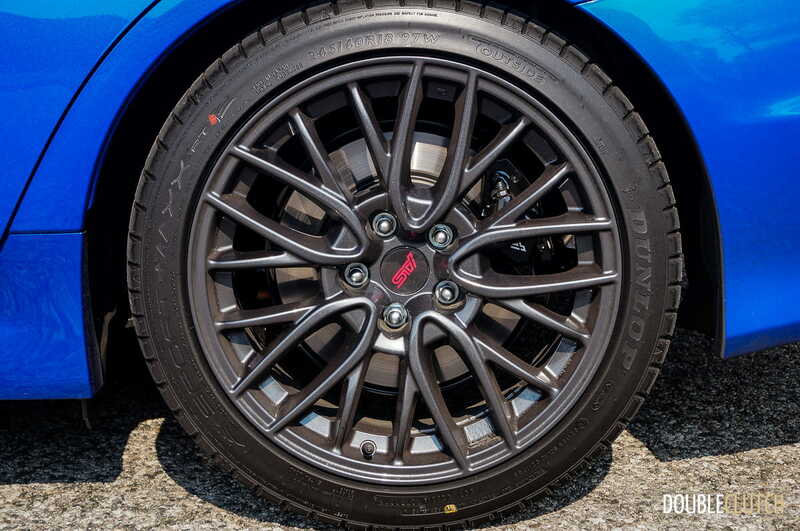 When the going gets fast, the chassis responds to the call, bringing a ton of mechanical grip from the 245/40R18 Dunlop summer tires. 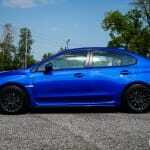 Body roll is kept to minimum, and the relatively stiff suspension keeps cornering in check. 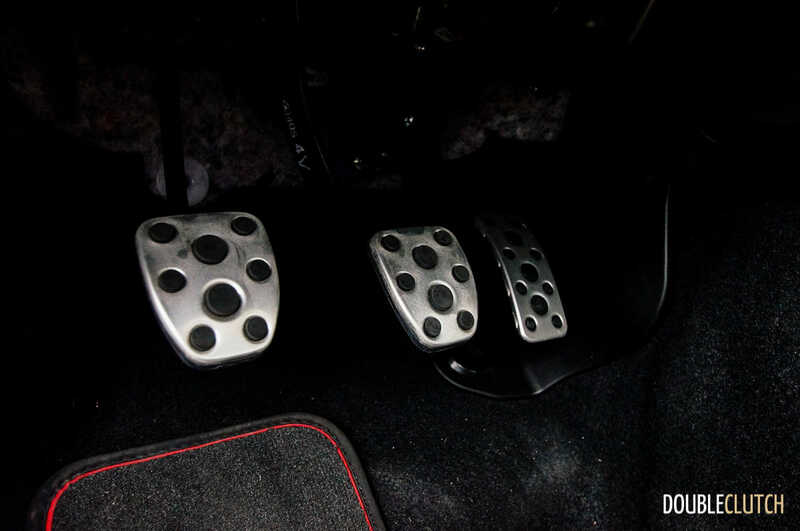 Some may find the ride quality to be a bit firm for daily driving, but for those who value performance, there’s ample justification to have the suspension set up in this manner. 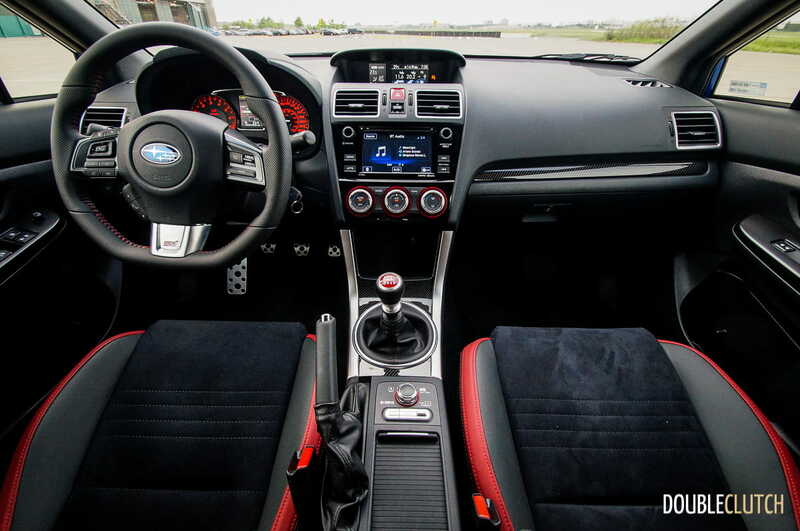 Inside, the Subaru WRX STI Sport is strictly business, with a relatively simple design that’s not far removed from the Impreza (reviewed here) on which it’s based. 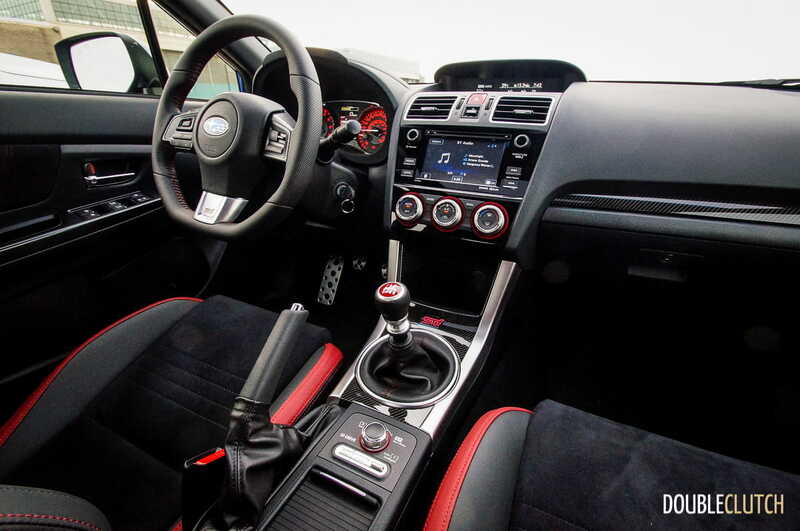 The STI adds Alcantara seating surfaces, red accents, and carbon fibre trim throughout. While it’s not the prettiest setup, it’s definitely well put together and does its job admirably well. 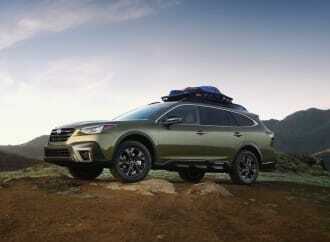 While the Sport trim level is not equipped with navigation, the remainder of the Subaru Starlink infotainment system is a bit of an exercise in frustration. 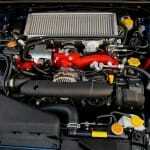 Bluetooth pairing on vehicle start up is slow, and occasionally fails to pair altogether. 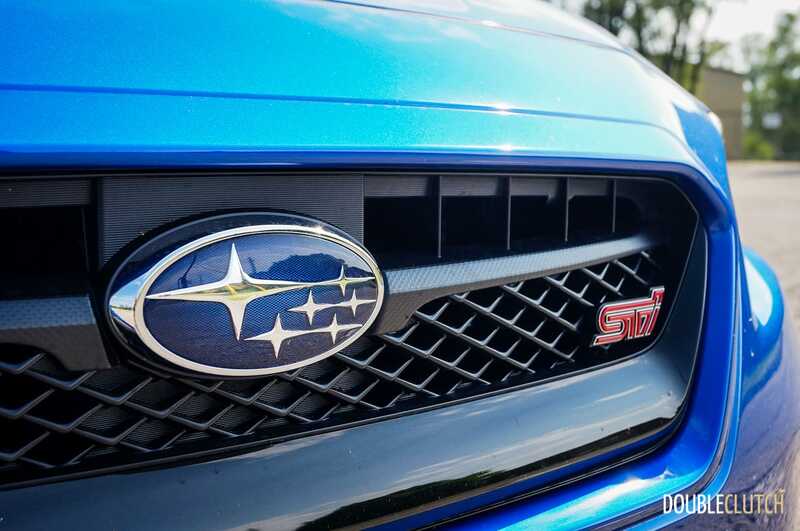 The touch-screen interface is clunky and outdated – Subaru would do very well to pluck shareholder Toyota’s much better system from the corporate parts bin. 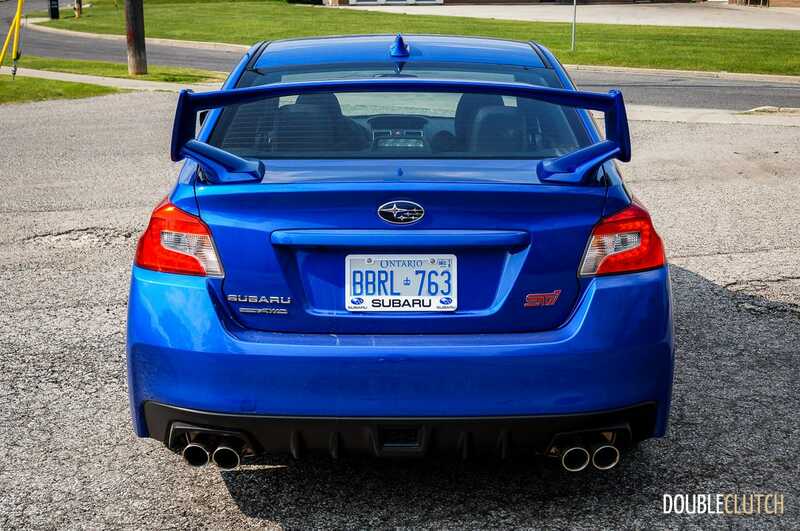 In terms of pricing, the STI remains hard to beat in terms of performance bang for the buck. 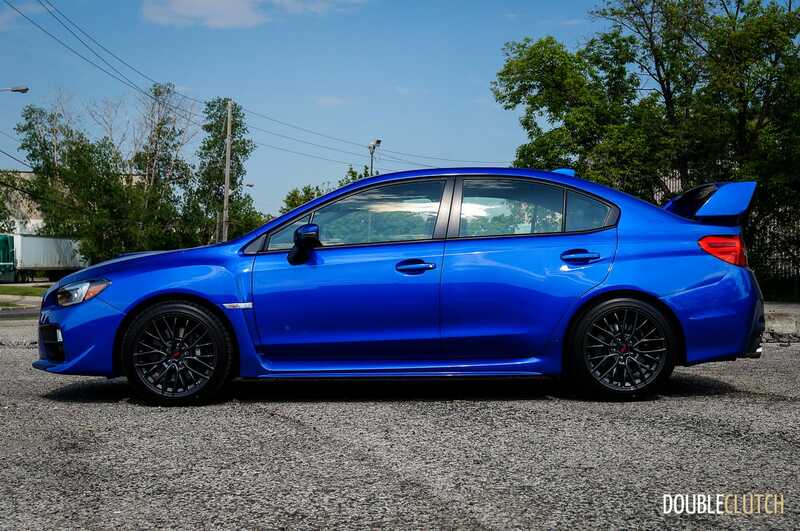 In mid-level Sport trim, the as-tested price was $40,795. 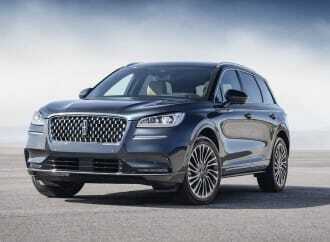 At this price, buyers get LED headlights, a 6.2-inch touch screen on the infotainment system, and giant (!) 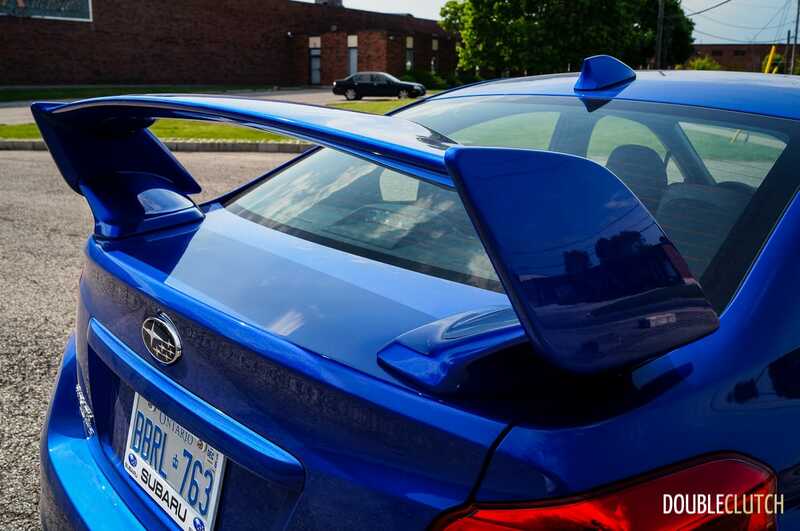 high profile spoiler on the rear decklid. 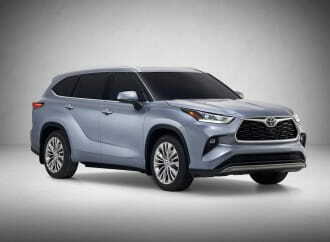 For $45,395, the Sport-tech package adds forged aluminum alloy wheels, leather seating surfaces, navigation, and a proximity key with pushbutton start, among other features. 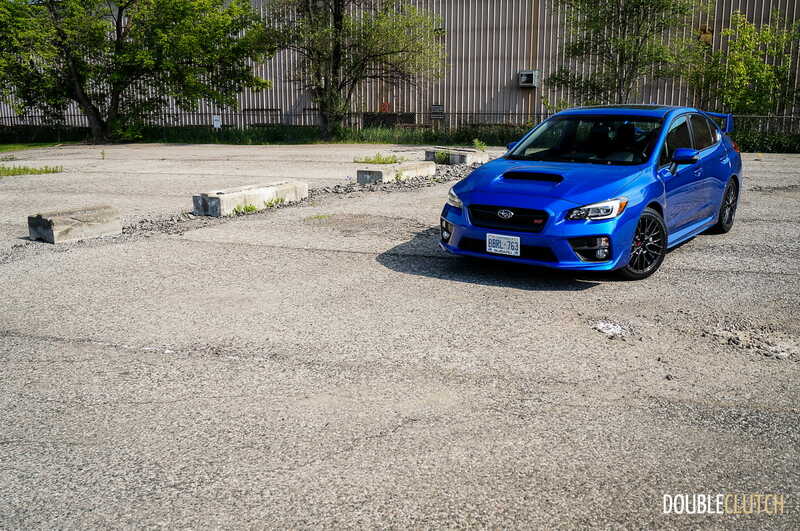 In terms of competition, the closest rival to the 2016 Subaru WRX STI is the Volkswagen Golf R (reviewed here). 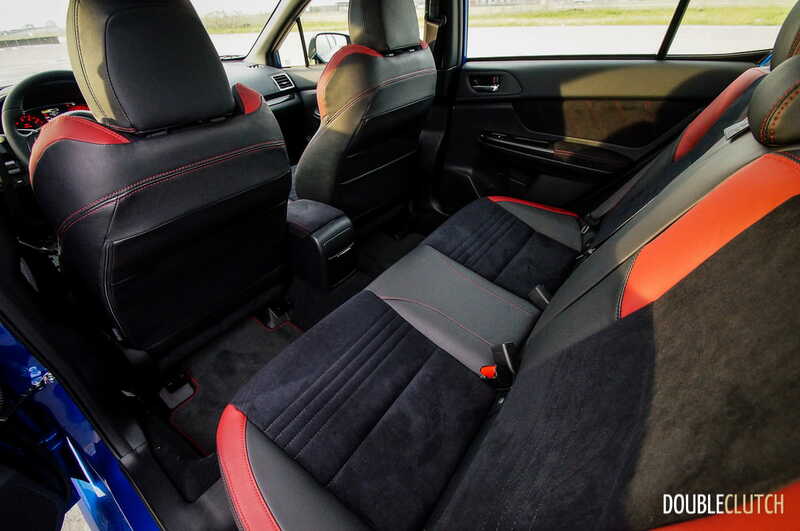 Priced very similarly, the Golf offers the hatchback format that many are longing for, and also has an excellent all-wheel drive system. The VW’s 2.0-litre, 292-horsepower turbo inline-four is also a great performer, in either manual or dual-clutch gearbox format. 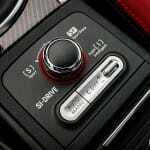 It also offers a more refinement, more favourable torque curve (less turbo lag), and a very smartly designed interior. 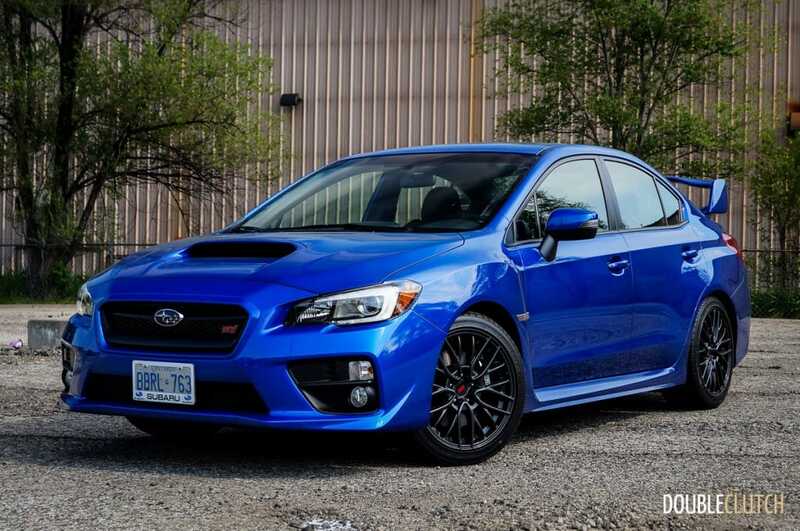 It also has a more mature appearance relative to the boy-racer STI, which more accurately reflects the age range that’s able to afford dropping over $40,000 on a car. 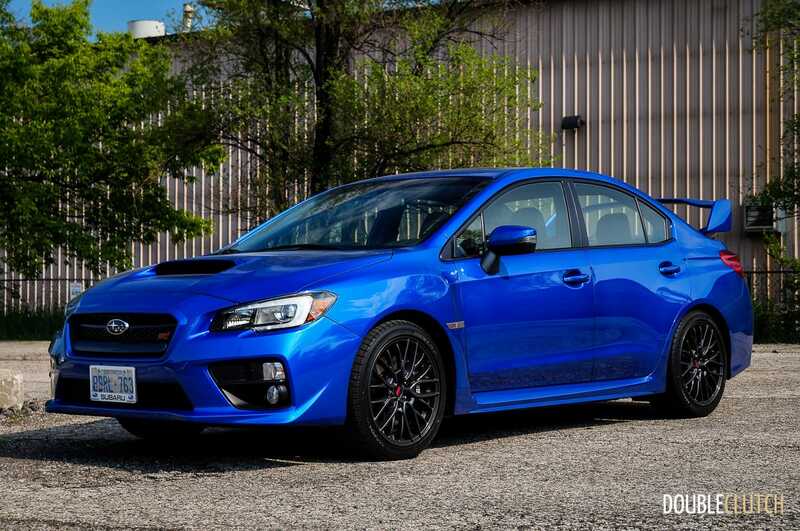 An update to the newer engine family used in the WRX will make all the difference in the world, but when it comes to overall performance numbers and track times, one can still count on the STI to deliver every time. 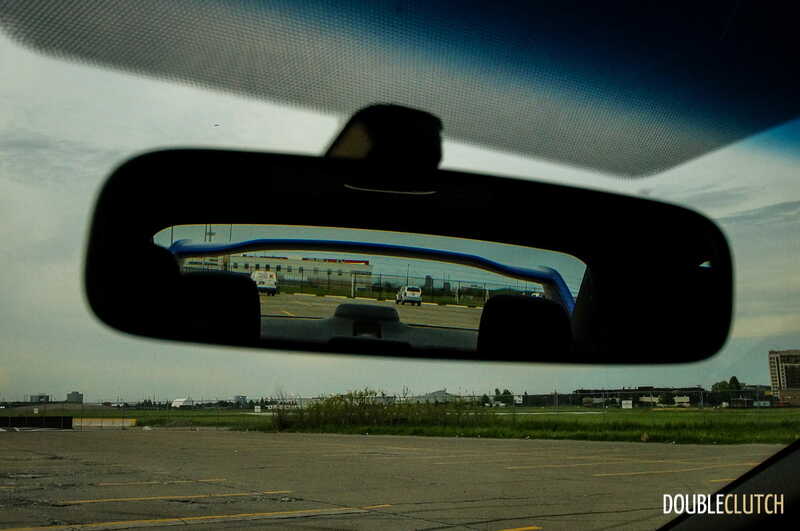 For everything else – comfort, convenience – there’s the Golf R.